This is Yahoo Falls in McCreary County at nineteen minutes after sunrise on a cloudy day. Sometimes Yahoo Falls is just a trickle, but on this day it was roaring. 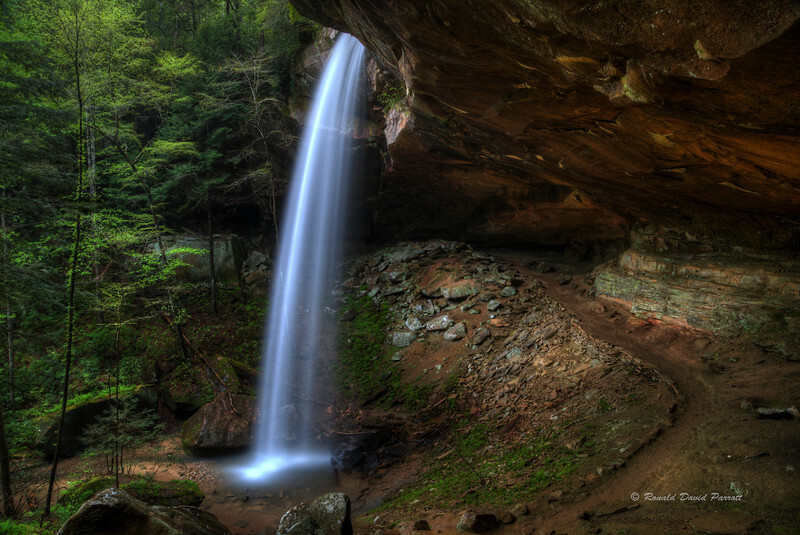 At 113 feet tall, this is one of the tallest waterfalls in Kentucky. The enormous rock shelter is also a treat to behold. It extends far beyond the boundary of this photograph. The camera was positioned part of the way back into the rock shelter for this view.